Got an Apple, Mac or iOS tech question? We have the answer. This time the question is from someone looking to delete his iBooks purchases from the cloud. Technically, there's no way to erase them completely, but you can certainly make it so you never have to deal with unwanted iBooks ever again. Keep reading to see how it's done. How do you delete purchased books from your iBooks cloud? Deleting iBooks from your Mac or iOS device is easy - just tap select, tap the book, and tap delete on iOS, or right-click, choose delete, and confirm on a Mac. However, Apple does not currently offer the ability to completely delete purchases in the cloud for the App Store, iBook Store or iTunes Store; instead, they offer the ability to hide purchases so that they do not show up inside of the purchased section of the iBooks Store or App Store. 1. Open the iBooks app. 2. In the upper-left corner, click iBooks Store. 3. Under Quick Links on the right side of the iBooks Store, click Purchased. 4. Scroll to find the item that you want to hide. Hold the cursor over the item and an X appears in the upper-left corner. Click the X. 5. When you click the X, a message appears asking you if you're sure that you want to hide the purchase. Click Hide. 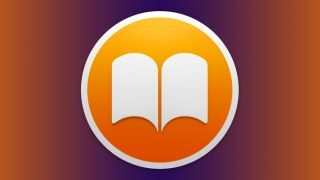 Hiding iBooks Store purchases means that they will no longer show up in your purchased tabs on your devices nor receive book updates automatically. 2. From the menu at the top of your computer screen, choose Store > View My Apple ID. 3. On the Account Information page, scroll down to the iTunes in the Cloud section. To the right of Hidden Purchases, click Manage. 4. Below the item you want to unhide, click Unhide. When you unhide the item, it will automatically download from the iBooks Store.